BMW I8 SUPER-CAR FOR SERGEY KARJAKIN?! As you have registered by now, Sergey Karjakin won the Candidates Tournament in Moscow, and went home richer by €95,000. But he also received a special prize from the car manufacturer BMW: the super sports car BMW i8, a plug-in hybrid that sells at around $140,000. 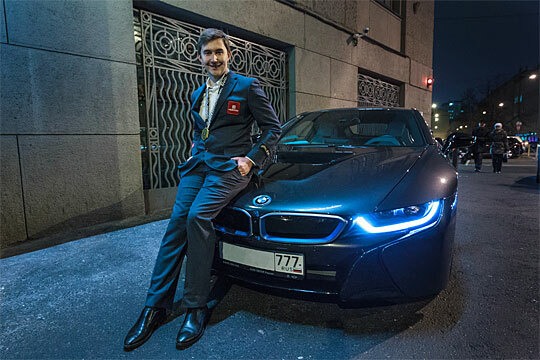 Though,https://www.chess.com/ reports :"According to ACP President GM Emil Sutovsky, the BMW i8 is only Karjakin's for one month." Sergey can now cruise the Russian highways at 250 kmh. The 10th Annual Philadelphia Open was held over the Easter weekend from March 23-27, 2016, at the Philadelphia Marriott Downtown, 1201 Market Street, Philadelphia, Pennsylvania, USA.The Open Section was a 5-day 9-round Swiss tournament with FIDE norms possible. 87 players competed in this group.The 15-years old IM Ruifeng Li and 2014 Serbian champion GM Aleksandar Indjic shared the first place with 7,0/9 points to earn $5225 each. Ruifeng Li took the winner’s trophy and bonus on better tie-break. 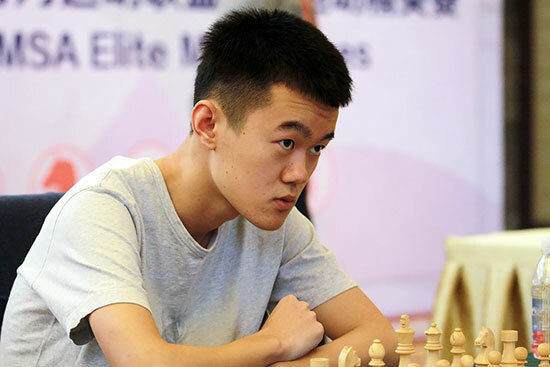 Ding Liren gained an incredible 140 Blitz Elo, with 48 games played over two events, including the blitz tournament from the Aeroflot Open, and the IMSA Mindgames. He is now 2875, and in the mix of four players at the top and very little to separate them from each other. Webster University’s chess team won the College Final Four Championship for the fourth consecutive time. 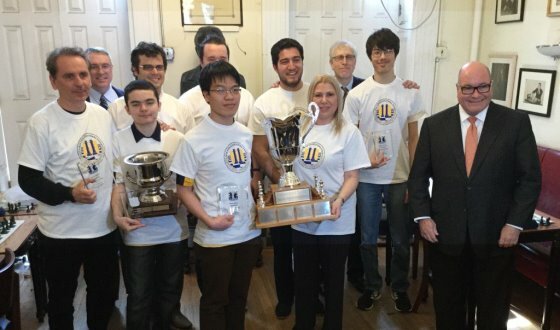 The team finished with 8.5 points to win the tournament over three other universities.Susan Polgar’s Institute for Chess Excellence (SPICE) headed to New York March 31 to compete for the team’s sixth consecutive Final Four Championship and fourth consecutive championship as Webster’s chess team.The team consisted of Grand Masters Liem Le, Ray Robson, Illya Nyzhnyk, Aleksandr Shimanov, Vasif Durarbayliand Fidel Corrales Jimenez. Indian Grandmaster Surya Shekhar Ganguly finished second in the Doeberl Cup 2016 held from March 24-28 in Canberra, Australia. A total of 59 players competed in this event including 4 Grandmasters and 13 International Masters. Australian IM Morris James walked away with the title. The Asian Youth Championship 2016 will be held from April 6-16 in Ulaanbaatar, Mongolia.India boasts a strong delegation ranging from 6-year old Jack Samuel to 18-year old International Master Krishna Teja N.Many exciting games are expected from the tournament with all the Indian players fighting for the top positions in their respective categories. 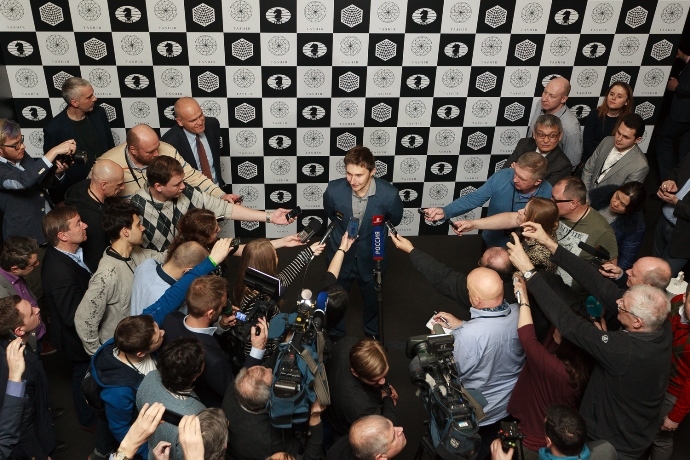 Sergey Karjakin is Magnus Carlsen’s challenger for the World Championship title after winning the Moscow Candidates Tournament by a full point.We take a look at some of his comments on the key moments of the tournament, his preparation and his expectations for the match against Carlsen this November. In March Hou Yifan, number one on the women's ranking list, regained the world title, which she had lost when she did not take part in the knock-out World Championship the year before. In an interview with Dagobert Kohlmeyer the World Champion criticises the mode of the Women's World Championship and reveals that her proposals for a different system were made in vain. 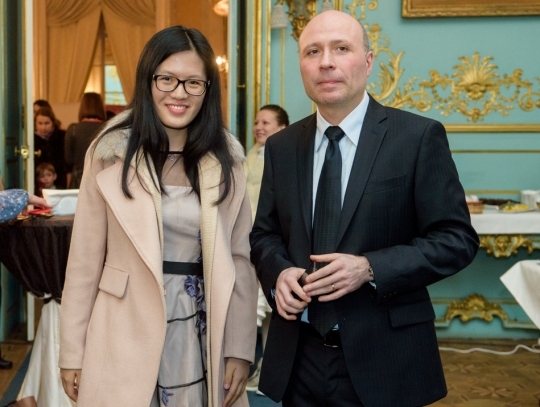 Ju Wenjun is one of the leading chess players of China. 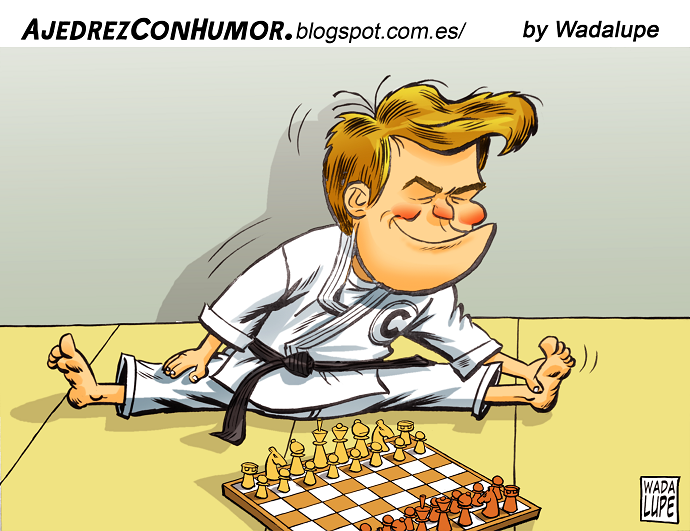 She has participated in many FIDE Grand Prix, finishing second many times. She has won the latest FIDE Women’s Grand Prix in Tehran. She is an International Grandmaster, member of the national Chinese team, having won three Olympiads and three World Team Championships in this composition. All chess players know the feeling – one or two bad or unexpected losses suddenly turn into a losing streak where nothing seems to go right. What’s going on, and what can we do to get out of that situation? Two Spanish psychologists suggest the concept of “learned helplessness” applies and suggest ways in which to overcome it, including the straightforward approach of solving simple tactical puzzles before a game. The film "Magnus" will be aired at the prestigious TriBeCa festival in New York mid April. The 76-minute documentary has been compiled from more than 500 hours of footage shot over a decade.For now we have the trailer.